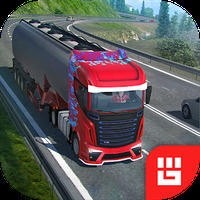 "Here's your chance to drive big rigs on European highways"
Rating: The TOP 1 Most popular games in Truck Driving Games category. Truck Simulator PRO Europe is related to Android games, Simulation Games, Car Games. Do you like Truck Simulator PRO Europe?